Even the most powerful men in the world are human—they get sick, take dubious drugs, drink too much, contemplate suicide, fret about ailing parents, and bury people they love. Young Richard Nixon watched two brothers die of tuberculosis, even while doctors monitored a suspicious shadow on his own lungs. John Kennedy received last rites four times as an adult, and Lyndon Johnson suffered a "belly buster" of a heart attack. David Blumenthal and James A. Morone explore how modern presidents have wrestled with their own mortality—and how they have taken this most human experience to heart as they faced the difficult politics of health care. 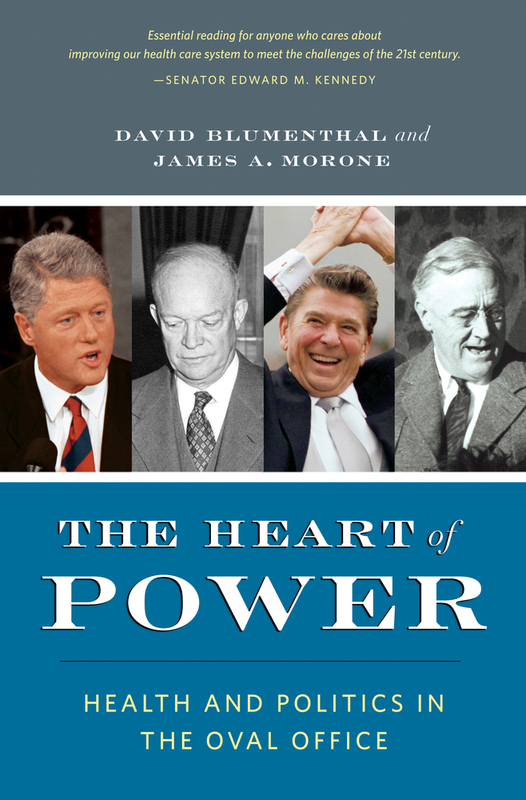 Drawing on a trove of newly released White House tapes, on extensive interviews with White House staff, and on dramatic archival material that has only recently come to light, The Heart of Power explores the hidden ways in which presidents shape our destinies through their own experiences. Taking a close look at Franklin D. Roosevelt, Harry S. Truman, Dwight Eisenhower, John Kennedy, Lyndon B. Johnson, Richard Nixon, Jimmy Carter, Ronald Reagan, George Herbert Walker Bush, Bill Clinton, and George W. Bush, the book shows what history can teach us as we confront the health care challenges of the twenty-first century. David Blumenthal was until recently the Samuel O. Thier Professor of Medicine and Professor of Health Policy at Harvard Medical School and a physician at Massachusetts General Hospital. He has advised Democratic presidential candidates from Michael Dukakis to Barack Obama, and now works on health issues for the Obama Administration. 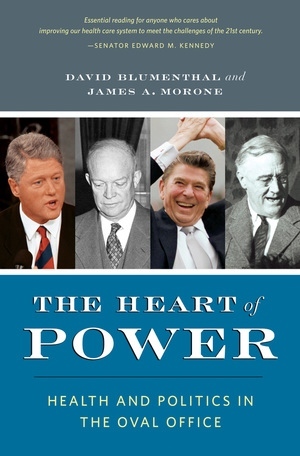 James A. Morone is Professor and Chair of Political Science at Brown University and the author of Hellfire Nation and The Democratic Wish, a New York Times Notable Book and winner of the Gladys Kammerer Award of the American Political Science Association.